Can you tell me about the recent news about LoungeBuddy? LoungeBuddy has been acquired by American Express. As a result of the acquisition, lounge booking services will be exclusively available for American Express Card Members. Additionally, while there are some changes to the number of lounges available to book through the LoungeBuddy platform, we are actively working with a number of lounge operators to expand the options available to American Express Card Members to book through the platform in the near future. American Express will be working closely with the LoungeBuddy team to further enhance American Express Card Member’s travel and airport lounge experiences through new exclusive digital capabilities, resources and services in the future. How does this impact LoungeBuddy’s current offerings? Both LoungeBuddy’s informational content and the ability to book lounge access through LoungeBuddy may still be accessed at www.loungebuddy.com and via the LoungeBuddy Mobile App. As a result of the acquisition, lounge booking services will be exclusively available for American Express Card Members. While there are some changes to the number of lounges available to book through the LoungeBuddy platform, we are actively working with a number of lounge operators to expand the options available to American Express Card Members to book through the platform in the near future. LoungeBuddy will continue to work with American Express to provide information and capabilities for the Find a Lounge tool within the American Express mobile app for Platinum Card and Centurion Card Members. Can I purchase access into the Centurion Lounges through LoungeBuddy? Unfortunately, you cannot book Centurion Lounge access through LoungeBuddy. Can I make a LoungeBuddy booking through the American Express mobile app? No, you will continue to use the LoungeBuddy app or website to make lounge reservations. I have complimentary access to a lounge with my American Express card. Can I make a booking through LoungeBuddy? If you receive complimentary access to a lounge with your AmEx card, there is no need for you to purchase a pass for that lounge through LoungeBuddy. Please see this page for more information. Will I receive benefits for using an American Express card over another card? Will I still be able to book lounges through LoungeBuddy? Going forward, your purchase of lounge access passes will be directly from the relevant lounge operators. 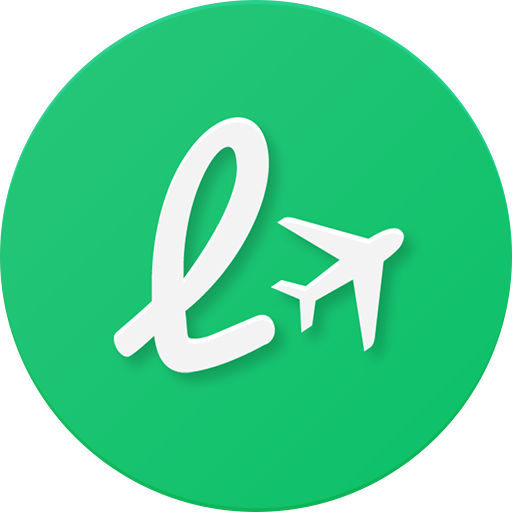 LoungeBuddy will operate only as a service to help you find lounges and purchase access from lounge operators. I have a future booking, is this reservation still valid? Yes! Your booking is valid. If you have any questions related to your booking please email support@loungebuddy.com. Will I continue to book lounges through the LoungeBuddy app and website? Please download the LoungeBuddy app for iPhone through the App Store or navigate to www.loungebuddy.com to make your bookings. Are your prices going to change? Going forward prices will be set directly by the lounges. There are some updates to pricing, which are reflected on our App and Website. I noticed some lounges that were previously bookable are no longer available for bookings, will they become available again? What credit cards will you accept? Do I need an American Express card? We accept bookings made with any American Express card. If you don’t have an American Express card, you will not be able to book lounge access through LoungeBuddy. Can I still use my LoungeBuddy gift cards? Yes! Please follow these instructions to make a booking with your gift card. I received a credit from LoungeBuddy for a future booking. Is this still redeemable? All credits are valid until the expiration date provided by our support team. To confirm the expiration date of your credit please email, support@loungebuddy.com. I am a member of the press who received a LoungeBuddy credit. Can I still use it? Yes, you may use the credit before the expiration date. I noticed you no longer have a best rate guarantee. Is there a new guarantee? Going forward prices will be set directly by the lounges. Will you continue to have an iPhone app? Absolutely! If you don’t have the LoungeBuddy App, you can download the App from the App Store. At this time we do not have an Android app, however you are welcome to make lounge bookings on the LoungeBuddy website, www.loungebuddy.com. I am an Ebookers Gold or Platinum member and have a LoungeBuddy credit. Will I still be able to redeem my credit? Yes you can! If you need assistance with your redemption please email support@loungebuddy.com. Will you still support syncing with Concur and TripIt? No, we no longer support syncing with Concur and TripIt. I am a TripIt member and have a credit to use on a booking. How can I redeem the credit I have? You may redeem in the same way as before through May 15, 2019. If you need assistance redeeming your credit please email support@loungebuddy.com. I am a travel agent partner, will I still be able to book lounges for my clients? Yes, you can still use our public website to make bookings using an American Express Card, however, our affiliate program and other affiliate tools are no longer available. Will you continue with the refer a friend program? Yes, you may still refer friends and receive a LoungeBuddy credit. You can learn more about the program here. I am a LoungeBuddy affiliate, will you still offer this program? Unfortunately, the LoungeBuddy affiliate program is no longer offered at this time. What is the status of the LoungeBuddy Photographer Program? The LoungeBuddy Photographer Program is still being offered at this time. If you’re interested in being a part of the program, please reach out to support@loungebuddy.com for more information. Can American Express Customer Support assist me with my new or current lounge reservation? If you made a reservation through LoungeBuddy, please contact LoungeBuddy Support (support@loungebuddy.com). If you have questions about your American Express lounge benefits contact American Express Card Member services using the phone number located on the back of your card. Please email support@loungebuddy.com for any other questions!